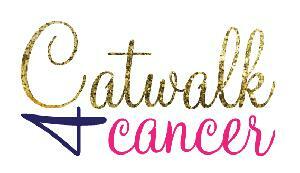 Catwalk 4 Cancer has raised over $50K in 2017 and over $150K since its inception! Join the battle against Pediatric Cancer. Team Tallie is a group of passionate family and friends that has come together all with the same goal. And that goal is to beat Pediatric Cancer. We need your help and generosity to raise as much money as we can for research and ultimately a cure. OUR STORY: In May of 2012, Tallie was diagnosed with ALL Leukemia. Over those two years Tallie endured intense treatment and through a long and difficult battle she is now cancer free. Watching Tallie throughout her treatment has inspired our families to help other Pediatric Cancer Patients. We’re asking if you will join us in our efforts to raise funds for life-saving pediatric cancer research at Memorial Sloan Kettering Cancer Center. Without all of the research and funding that had previously been done, we would not have all of the treatment options available as we do today. However, we still have a long way to go…and in our sights, in the not to distant future, we see a CURE for these terrible pediatric cancers …and we know that we will only achieve this goal through funding additional research to develop these new therapies and ultimately a cure. We have created a special online giving page, and we’re hoping our friends, family, and community will help us make a real difference in the fight against this deadly disease. We are proud to have had such great success with our Catwalk for Cancer event the past three years. We are hoping to exceed our goals again this year with our Fourth Catwalk for Cancer event. Please take a moment and donate to help Pediatric Cancer Patients like Tallie, no amount is too small, and every donation counts. You can also create your own fundraising team page and get your friends and family to help support this amazing cause. START TODAY !